Subject: LongIsland.com - Your Name sent you Event details of "Civil Air Patrol Open House at Westhampton Beach"
For patriots ages 12 and up, Civil Air Patrol is a vital force that protects Americans in need by responding to disaster, preserves the values that make our country great by developing young leaders, and ensures our country's preeminence in aerospace and cyberspace education. 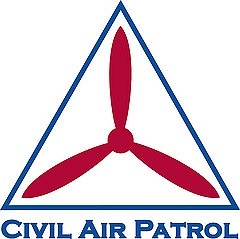 Join us at our open house for an evening with Civil Air Patrol's 9th Suffolk Cadet Squadron, and see what our volunteer organization has to offer. For more information and to register for your visitor pass, please visit our website at www.squadron9.com.